We’re always keen to learn more about foods that aren’t just good for our bodies, but also our minds, and we have a feeling you’d like to know more about the best brain foods, too! Today’s guest post comes via our friends at Pure Canada Maple from Dr. Navindra P. Seeram, Ph.D., Associate Professor in the Department of Biomedical and Pharmaceutical Sciences at the University of Rhode Island College of Pharmacy. Dr. Seeram and his team of researchers study compounds found in New England plants for applications in the treatment of Alzheimer’s, cancer, and other diseases. Additionally, he has identified compounds in maple syrup that he is applying to diabetes research. As neurodegenerative diseases like Alzheimer’s impact the lives of more and more Americans, researchers are seeking answers in the world around us. Recent scientific studies reveal new insights on certain natural food products and their benefits to brain health. These foods all contain plant compounds known as polyphenols, which may actually reduce harm caused to the brain by inflammation and oxidative damage (otherwise known as aging). I organized a symposium at the annual meeting of the American Chemical Society (ACS) to highlight 24 studies on polyphenols with promising results. 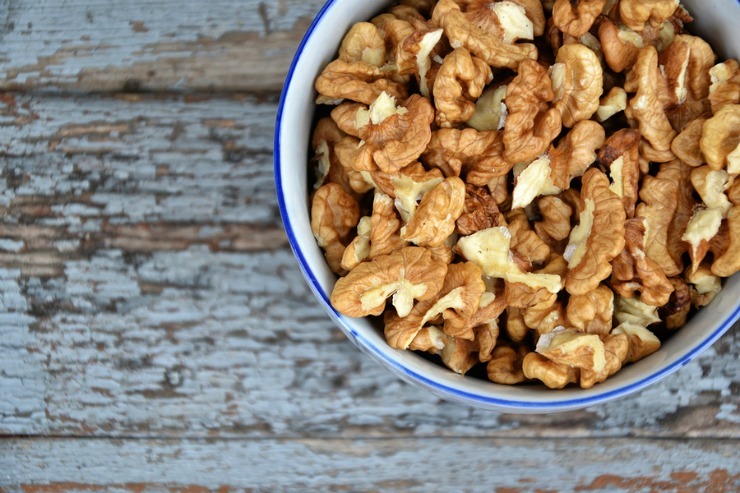 Read on for the quick scoop on how these natural — and delicious — foods can help protect brain health and prevent neurodegenerative diseases. What we already know: Pure maple syrup has polyphenols that may offer health benefits. These compounds identified in Canadian maple syrup are also found in berries, tea and red wine. New ACS research — proteins: When cellular proteins fold improperly and clump together, they accumulate and form plaque linked to the development of Alzheimer’s and other diseases. A new study found that an extract of pure maple syrup from Quebec may help prevent this improper folding and clumping of two cellular proteins found in in brain cells (beta amyloid and tau peptide). In a separate study, a pure maple syrup extract prevented the fibrillation (tangling) of beta amyloid proteins and created a protective effect in rodents’ microglial brain cells. Scientists have found that a decrease in microglial brain cell function is associated with Alzheimer’s disease and other neurological problems. How to eat it: Maple is not just for pouring on pancakes! It can be used as a sweetener or in savory dishes such as soups and meats. What we already know: Human studies have found that older adults who were given blueberry juice scored higher on memory tests than those receiving a placebo. 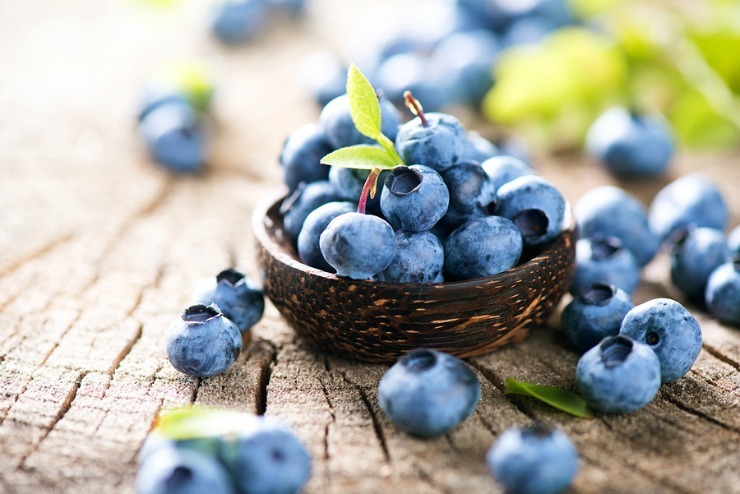 New ACS research — flavonoids: Recent findings suggest that supplementing your diet with flavonoid-rich blueberry — which offers powerful antioxidant effects — may help reduce risk in the advance of dementia. How to eat them: Whether you’re popping a handful into your mouth, topping off a favorite dish or having fun with a new recipe, blueberries are a simple and healthful ingredients that brighten just about any dish. What we already know: The polyphenols in extra virgin olive oil may prevent or delay the aging process. New ACS research — oleocanthahl: A naturally occurring phenolic compound in extra virgin olive oil, oleocanthahl might have the potential to prevent and/or halt the progression of Alzheimer’s disease by targeting multiple pathological processes associated with the disease. How to eat it: Extra virgin olive oil can be used in salad dressings, drizzled over your favorite vegetables, or in place of butter. 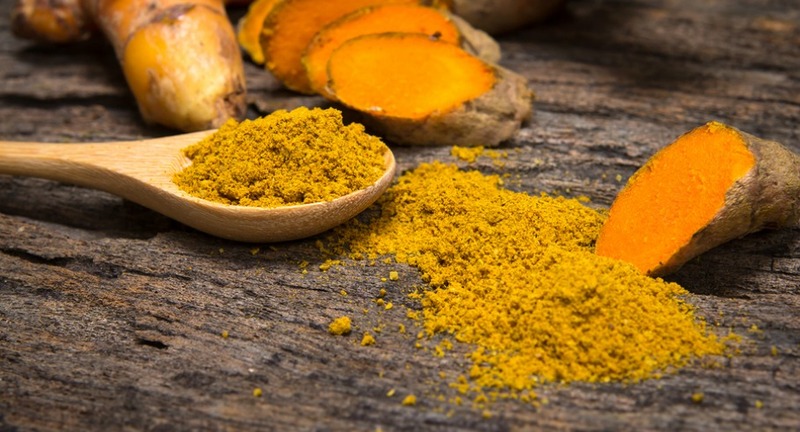 What we already know: Curcumin, the curry spice that is the major yellow pigment in turmeric, has been found to reduce inflammation and limit damage from aging. New ACS research — supplements: A study found that healthy older individuals who were given a curcumin supplement had improved working memory and attention based on the results of a series of cognitive tests. How to eat it: Curcumin, via turmeric, is an ingredient commonly found in Indian and other Asian cuisines. What we already know: A study suggests that eating a handful of walnuts per day may help boost memory, concentration and the speed at which your brain processes information. New ACS research — proteins: New research on mice found that supplementation with walnuts showed improvement in memory, learning skills and motor development, compared to the group that did not receive walnuts. This may be related to the prevention of amyloid beta-protein fibrillation (or tangling), similar to the effect described with maple syrup above. How to eat them: Walnuts can be eaten whole, as a topping or as part of a prepared dish. What we already know: What we already know: Recent studies have shown that pomegranate extract, which is a rich source of disease-fighting polyphenols, can help protect against the development of Alzheimer’s disease. New ACS research — urolithins: Recent studies show that pomegranate extract, which is a rich source of disease-fighting polyphenols, can help protect against the development of Alzheimer’s disease. But researchers weren’t sure which molecules were responsible for this. New research found that the responsible compounds may be urolithins, which are made when gut bacteria break down the polyphenols in pomegranate extract. The urolithins were able to cross the blood-brain barrier and help prevent beta-amyloid fibrillation, a process that is associated with Alzheimer’s disease, as previously mentioned. How to eat it. Pomegranate can be eaten raw, in juice form or as part of a prepared dish. As we continue to study Alzheimer’s and other neurodegenerative diseases, wellness-minded consumers have the opportunity to incorporate natural foods into their diet and enjoy a number of health benefits, including the potential to protect brain health.